We had a brilliant day at Sandown on Friday 9 March 2018 as proud sponsors of the feature race, the Grand Military Gold Cup. The race, which is specifically for serving and retired military amateur riders, was won by Billy Aprahamian of the Irish Guards on Baden. We were delighted to host and bring together the Chief Executives and representatives from the charities we work closely with, including Blesma and Blind Veterans, and our Members including RAF Benevolent Fund, Household Cavalry and Chelsea Pensioners. We were also pleased to be joined on the day by professional artist Freddy Paske, whose strikingly beautiful paintings were created specially for the day, and generated a great amount of interest among our guests. Freddy developed his talent for painting, whilst serving in the British Army, with a specific interest in equine and wildlife subjects. In addition, we held our Annual General Meeting on the same day at the racecourse, which many of our Members attended. This was a fantastic opportunity for us to bring the military community together, giving The Military Mutual Members a chance to meet the charities and causes we support, and get together with other Members serving in the military, ex-military and their families. Over the past few years, we’ve seen our Member numbers increase, and continue to see the growth of our Commercial Memberships, all of whom belong to, serve and support the military family. With them, we are further enhancing our commitment in supporting a range of military causes and charities and look forward to hosting them again next year and welcoming many more on board! 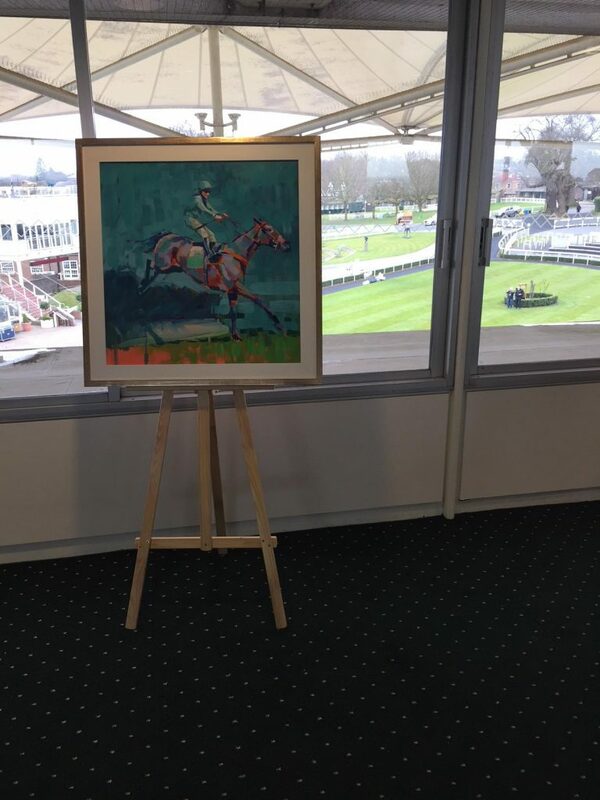 A huge thank you to Sandown Park for making this a truly memorable event.